In January 1975, Alan Vincent, Technical Director at Jensen Motors, accompanied with fellow Development man, Martyn Davies, left the gates of Jensen’s Kelvin Way factory in a Jensen Convertible. The two men would be heading to the coldest spot in Norway, the town of Tynset. Vincent tells the Museum about this remarkable adventure. While working with Chrysler back in the 1960s, I had taken part in extreme cold testing of vehicles. This involved taking the vehicles to a town named Tynset in Norway, where winter temperatures can drop down towards -40%. By co-incidence, Mike Jones, who also ended up working at Jensen Motors in Development, had worked alongside me at Chrysler. Somehow, and I don’t remember why, I ended up doing the extreme cold testing of vehicles, and he did the extreme heat testing of vehicles in Spain. 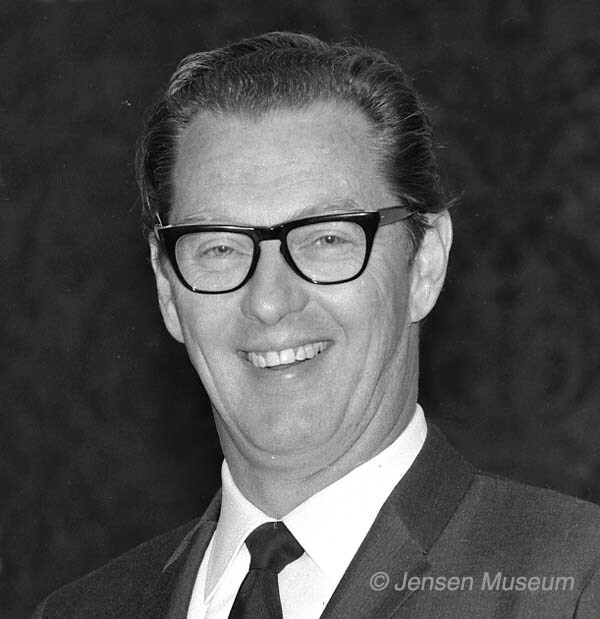 During autumn 1974, I suggested to Kjell Qvale, that we should do an extreme cold test on an Interceptor. Extreme testing hadn’t taken place at Jensen Motors, and to be fair, it wasn’t something that small car manufacturers normally got involved with. Qvale liked the idea. Firstly, the test didn’t bring with it the requirement for a large budget, the test could be used as a good marketing tool, and yes, it could bring to the table issues with the cars that we didn’t know about. 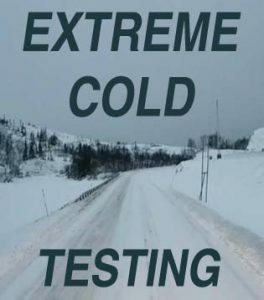 With Qvale’s approval, it was agreed that myself and fellow Development man, Martyn Davies, would undertake the extreme cold testing in January of 1975. I decided to take an Interceptor Convertible, and since we still had the initial prototype car, that would be the car we tested. My reasoning for taking a Convertible, as opposed to a normal saloon was easy. There was more fabric and plastic on a Convertible, and more chance of that reacting to temperatures down to the region of -40%. As the end of the year approached, we made ready for the trip. We were allowing ourselves ten days, and would leave for Norway around the third week of January. The itinerary was to drive up from West Bromwich to Newcastle-Upon-Tyne, catch the ferry across to Oslo. Then drive up to Tynset, which typically had the coldest temperatures found in Norway. After undertaking various tests in and around Tynset, we would head back to Oslo, and take the ferry home. The trip out went without issue, docking into Oslo, and then heading up to Koppang, and then on to Tynset. Temperatures were close to prediction at between -30% down to just above -40%. 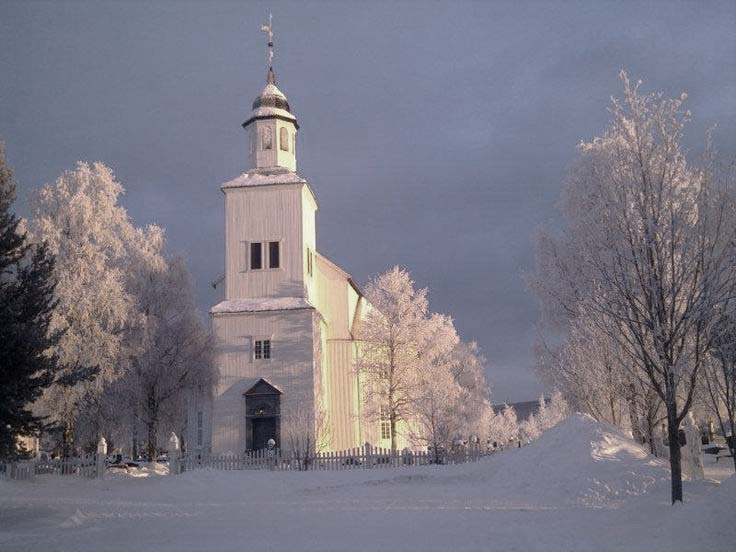 The beautiful church at Tynset. We already had reservations at a hotel in Tynset, which I had stayed at before when working for Chrysler. The hotel was also just a short hop from the local garage, which if my memory serves me correctly was run by a Johannes Burnt (but we called him John). Again I had used this garage before while working for Chrysler. We carried out a variety of tests while based at Tynset, including checking the operation of the hood assembly in various temperatures. The hood actually worked perfectly well in a variety of temperatures, which was somewhat of a surprise, but we did find the rubber strips against the door drop glasses couldn’t cope with the extreme cold, and the standard lubricant used in the door locks was completely insufficient. It was small things like these that went down in our reports ready for when we returned to the factory. The windscreen was continually trying to freeze on the inside at these temperatures, and it was only by keeping the heaters together with the air-conditioning, that the screen stayed clear enough to drive. I remember on one occasion I knocked off the A/C, and the screen just froze up almost instantly. 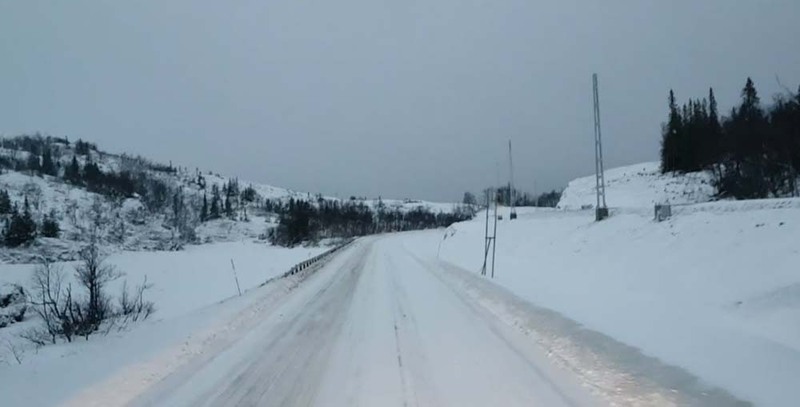 The road just outside of Tynset. On one particular day, returning from test work, I was driving the car back towards Tynset, and took my concentration off driving for a moment. Suddenly I had allowed the car to veer over to the road edge too far, and the wheels caught the small snow wall that had built up at that point. Next thing I knew, we had left the road and were careering through snow into a field at about 50 mile per hour, until the car cut out and came to rest. Snow was up to the waist -line of the car, and looking around to Martyn sitting in the passenger seat, I noted his face had just gone as white as a sheet (or perhaps I should say as white as snow in this instance). Although this could sound funny, it was anything but. Here we were stranded some few miles from Tynset, with a car that wouldn’t start in temperatures downwards towards -40%. Add to that, it was now afternoon, and darkness would come around quickly in a Norwegian January. Coming up with a plan, I told Martyn to remain in the car and do his best to keep as warm as he could. I was going to try and get out of the car, back up to the road, and try and stop the first vehicle coming in either direction. Martyn wasn’t convinced, but agreed. With that, I slowly edged the driver door open against the snow, and managed to open it enough to squeeze out. From the car I managed to half walk, half crawl back up to the road. Once there I waited for any distant sound of a vehicle with a torch at the ready. It seemed like ages, but I guess it was only ten or fifteen minutes when I heard an approaching vehicle. I waved my lighted torch madly as the vehicle approached, and slowly what transpired to be a lorry stopped. It was obvious I wasn’t the first to career off road like this, and the lorry driver seemed to find the whole matter rather funny. He certainly didn’t seem phased by the situation. There was a winch system on the front of his lorry (apparently many lorries in Norway had a winch on board at that time, and I guess still do). He unlocked the winch and starting to free the line, with me pulling it. After pulling enough line to take back to the Jensen, I made my way back in the snow. My memory of the event, is that this wasn’t that difficult, I got back to the car, and managed to tie the line to something on the back. Once the lorry driver saw me wave, and get back in the Jensen, he proceeded to drive the lorry backwards, and little by little we were pulled up onto the road. Both Martyn and myself were very thankful, and I mentioned to the lorry driver that I should able to get the car started again, and we would be on our way. He nodded his head negatively, and said we would never start the car again. I have to say neither of us understood why he was saying that. Realising our disbelief, he asked us to try and open the bonnet, which I did with some difficulty. With the bonnet open, the realisation of the problem was obvious. The entire engine-bay was a perfectly formed block of ice in the shape of the inside of the bonnet. When we had travelled across the field, the powder snow had thrown itself up all around the engine – large amounts of the stuff. The minute the engine stalled, you had a combination of powder snow, along with temperatures of nearly -40% and the heat of the engine. The powder snow melted and froze almost instantly. The lorry driver had seen it all before. He told us that he would now tow us back to the garage at Tynset. Again I wasn’t used to a situation like this. He made it clear we had no brakes, but there would be enough resistance from all the snow, that driving slowly, and towing us wouldn’t be a problem. Although it certainly isn’t a situation I would like to go through again, he was quite correct, and he did manage to slowly tow us into Tynset and parked us by the local garage. John had come out to greet us, and quickly understood what had occurred. I guess, he also, had helped people that had been through similar misadventures. First he brought out a steam gun, and proceeded to steam off the ice and snow from within the engine bay and underneath. Eventually, when all the snow and ice had been cleared (and along with our help) the car was pushed into his service bay. Here the Jensen was going to sit overnight with a garage heater aimed at it. For us, this ‘exciting’ day was over, it was time to head back to the hotel, and have a well deserved dinner. The next day, Martyn and myself walked along to the garage, and once again was greeted by John. He said the car should be ready to start, and after a few turns the car incredibly fired up as though nothing had happened. By now most of our testing was over, and the next day we would be heading back to Oslo for the ferry. 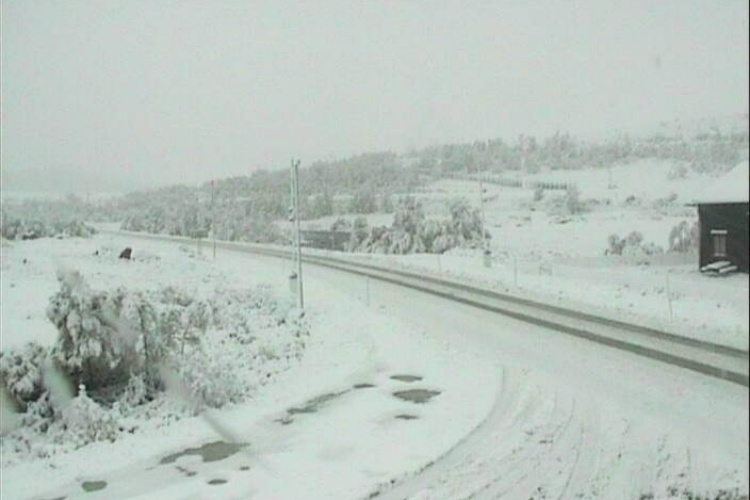 However, it transpired the weather conditions had left some of the roads back to Oslo impassable. Discussing possible alternatives, John from the garage suggested getting across to Bergen, and catch the ferry from there. Checking into this, it seemed there was no issue in regard to changing the tickets to return via Bergen as opposed to Oslo. Looking at the map, it seemed we could cut across towards Bergen, but John cautioned us from attempting that. According to him, the routes would be extremely mountainous, and could themselves be blocked due to adverse weather. We heeded his advise, and decided to drop down towards Oslo, cutting across towards Bergen from Little Hammer. The long journey begins. Onwards to Bergen. My memory of the exact route across to Bergen is a little hazy after all these years. However, I know we left Tynset the next day, initially going south towards Oslo, then at Little Hammer dropped down towards Kongsberg and then across country towards Odda. This was the days before satellite navigation, and Martyn or myself were map reading, depending on who was driving. As previously mentioned, darkness falls early in Norway at this time of year, and so it wasn’t long before we were travelling in the dark. If we went off-route by mistake, I couldn’t be sure now, but the road we were on was ascending quite steeply, and eventually it opened out onto a large plateau area. There was a fair amount of activity here, with various lorries around this plateau area, and a beckoning hotel. The day had taken its toll, and both of us were ready for a stop-over. From memory the hotel and plateau area was called the Sky Station, but looking at maps today, I cannot find mention of that name. Leaving the Jensen outside the front of the hotel, we went in hoping they had rooms for us. The hotel manageress was particularly helpful, and the first thing she asked about was our car. She said we should leave the car running throughout the night. This was because there wasn’t garaging, and the temperatures were likely to drop so negatively, that the car probably wouldn’t start in the morning. We weren’t quite sure if she was kidding or not, but another look at her face proved she was deadly serious. Martyn and myself looked at each other with concern. It certainly wasn’t going to be possible to leave the car running all night. In any case, at some point during the night, it would run out of petrol and stop of its own accord. Explaining this to the manageress, she said, “okay we will have to sort something out for you.” Following her outside, she went off and spoke to a couple of the lorry drivers. Both lorries had their engines running, and would be leaving them running throughout the night. One of them agreed to move his lorry over slightly, which meant that we could cushion the Jensen between the two lorries. The manageress hoped that would just keep our car slightly warmer, and allow our travel in the morning to go unhindered. The following morning we checked out and went to the car. She was right, we jumped in and it started without problem. From the Sky Station, we continued along the road and descended down towards Odda. From Odda we travelled around to Bergen to pick up the ferry. Both Martyn and myself had written up our reports by the time we arrived back at the factory. The Jensen Convertible had survived the severe cold testing admirably, and our conclusion was that the car required very few changes outside of a couple of rubber parts, and a change of some lubricants. Our testing had proved the Jensen Interceptor saloon or Convertible was typically at home in sunny California, but could also put up with the harshest winters that most inhabited places on earth could throw at it – certainly within our dealer network at any rate. 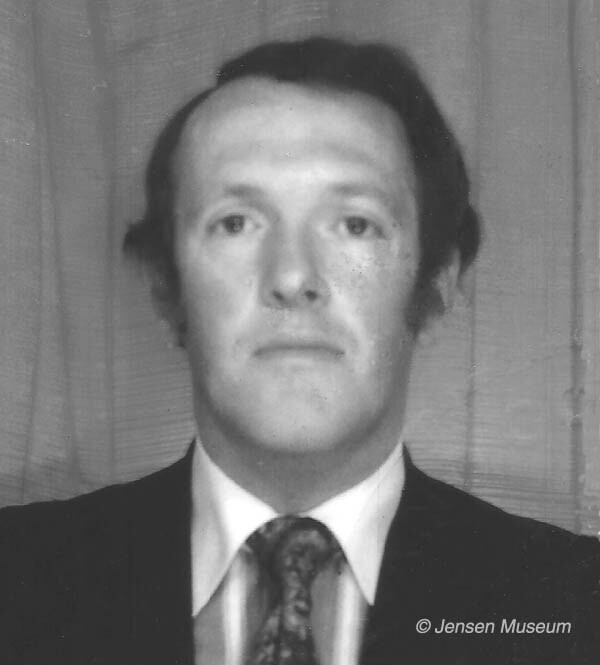 ACKNOWLEDGEMENTS: Alan Vincent, former Technical Director, Jensen Motors. COPYRIGHTS: The Jensen Museum | Alan Vincent.